Lipstick adds colour and hydration to the lips. 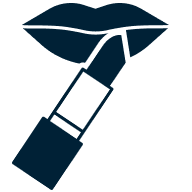 Filter on different features such as; glossy lipsticks, matte lipsticks or moisturising lipsticks. You can also filter on colour and on brands, as well as choose a waterproof lipstick, or a lipstick that contains SPF.